Matt Goddard is a Landscape Photographer with a passion for the South Coast and his home of Sussex. The coast is not only where land meets sea but it’s also where space is found for escapism, self-reflection and restoration. Water as far as the eye can see gives nature’s perspective; often humbling in its magnitude, raw power and ability to still the soul. The Sussex coast and surrounding landscape has many points of interest, old and new, and there’s much to explore. I’ve still plenty to find, and changing conditions constantly offer new opportunities for local photography along the Sussex Coast. Hand signed, titled and numbered prints. Available unframed or framed in a choice of finishes. Custom framing & print sizes available upon special request. Need a little help moving beyond auto mode? Learn the fundamentals and unlock your creativity. One to one lessons available at £35/hour. I’ll be open for AOH 2019 as part of the West Hove Trail. Several artists are joining me and I’ll be excited to show new Limited Editions. May 4th – 27th. The calming influence and tranquility of open waters from across Sussex and the South Coast. 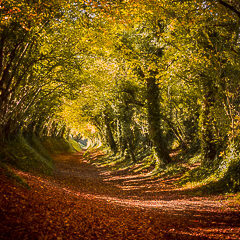 The varied countryside through Sussex includes the South Downs, Roman roads and ancient woodland. Beach Huts, Carousels and Piers: The Seaside Spirit and charm of Brighton, celebrated in art print. Travels of Asia & North Africa. We're happy to help! Get in touch for assistance with Orders | Lessons | Commissions | Art for offices etc.